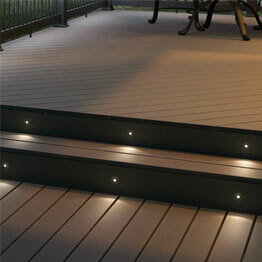 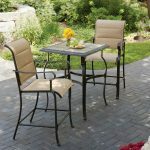 Decking lights define the atmosphere of your outdoor space and are very essential to complete your deck. 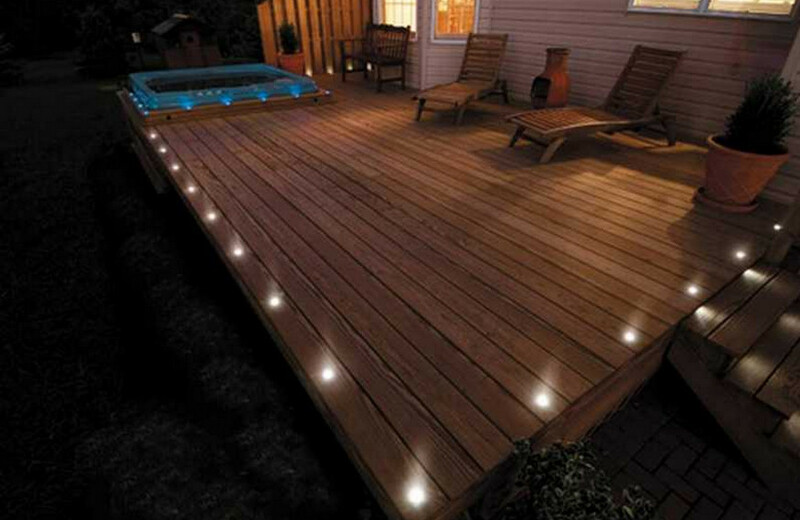 Good light makes you spend more time on the deck, makes the experience pleasing and comfortable to the eyes. 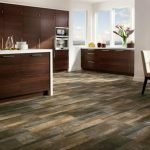 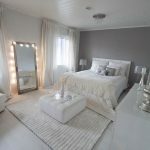 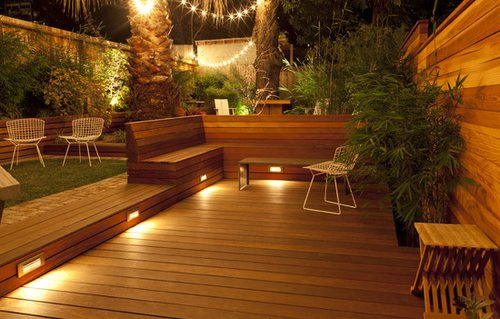 Also the light should be ambient as per the use intended for the deck space, like for cooking it should be bright, for dinner or relaxing needs it should be dim and soothing etc. 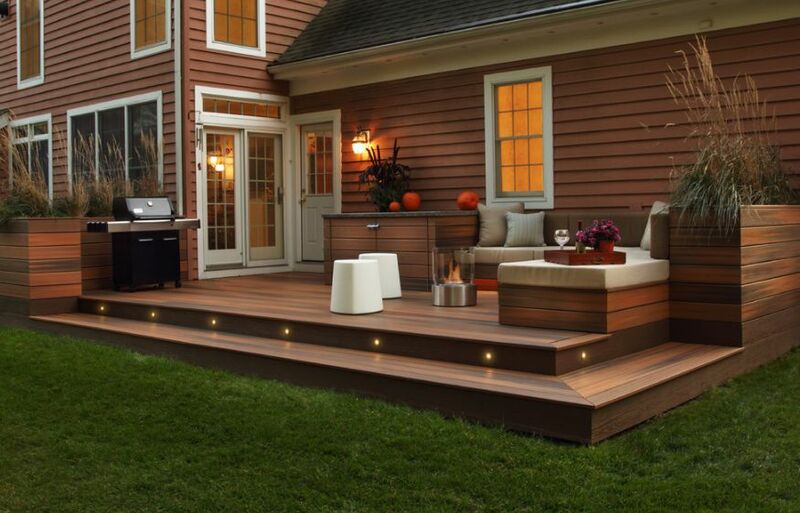 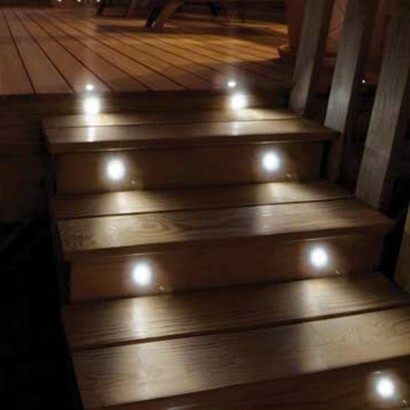 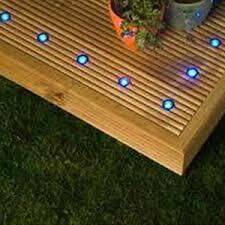 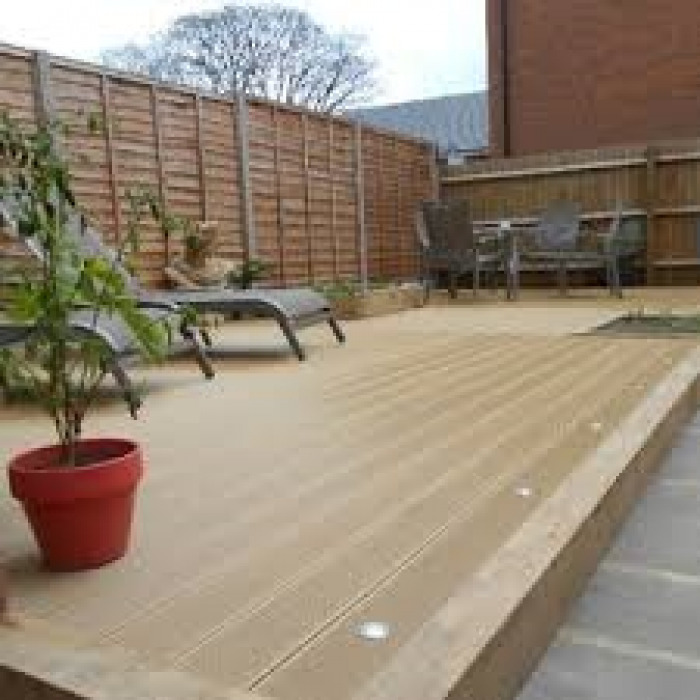 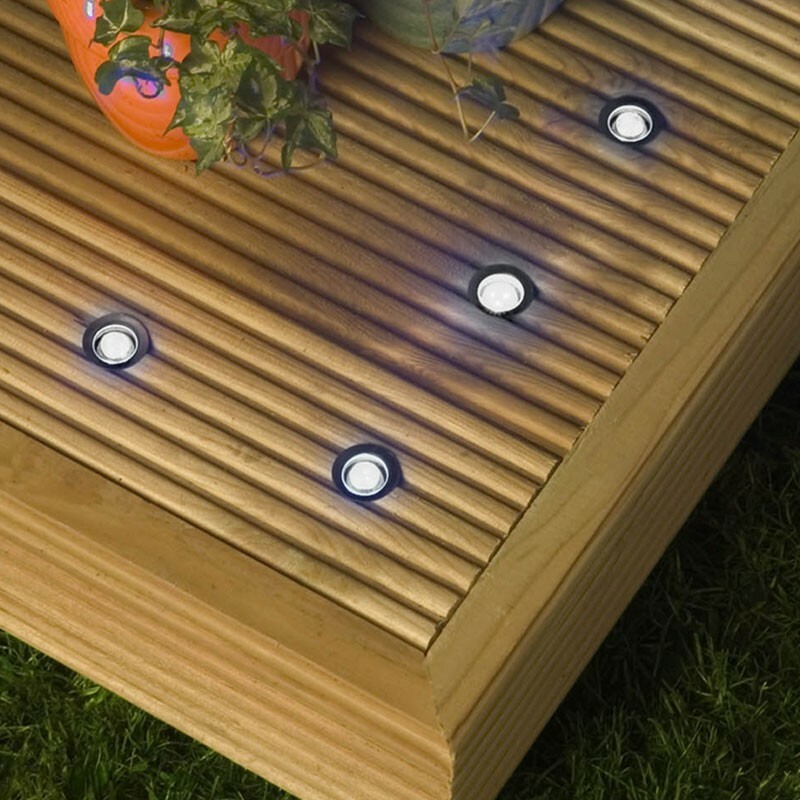 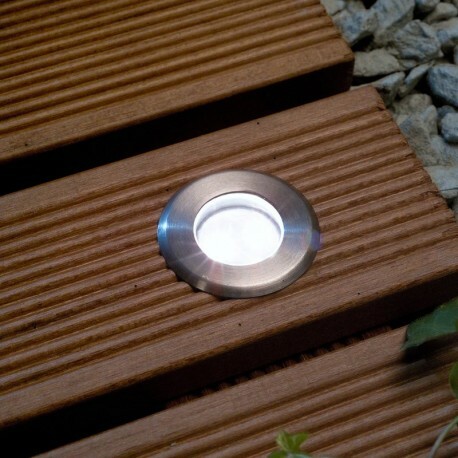 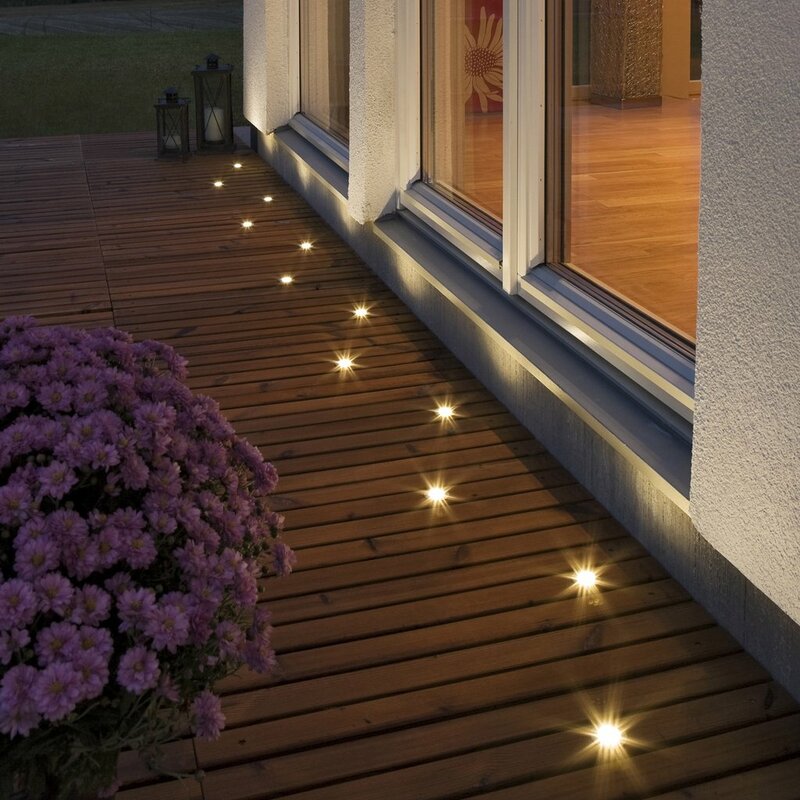 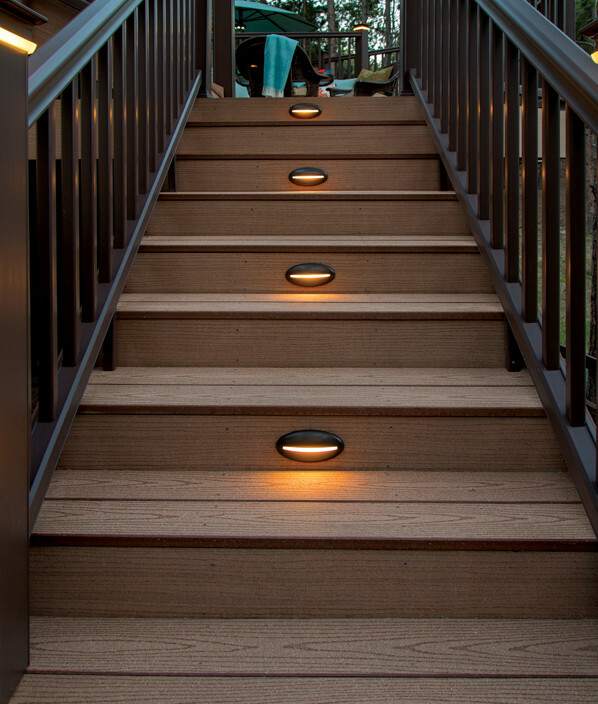 Having lights into the floors or the steps of the deck is also an interesting way of setting up decking lights. 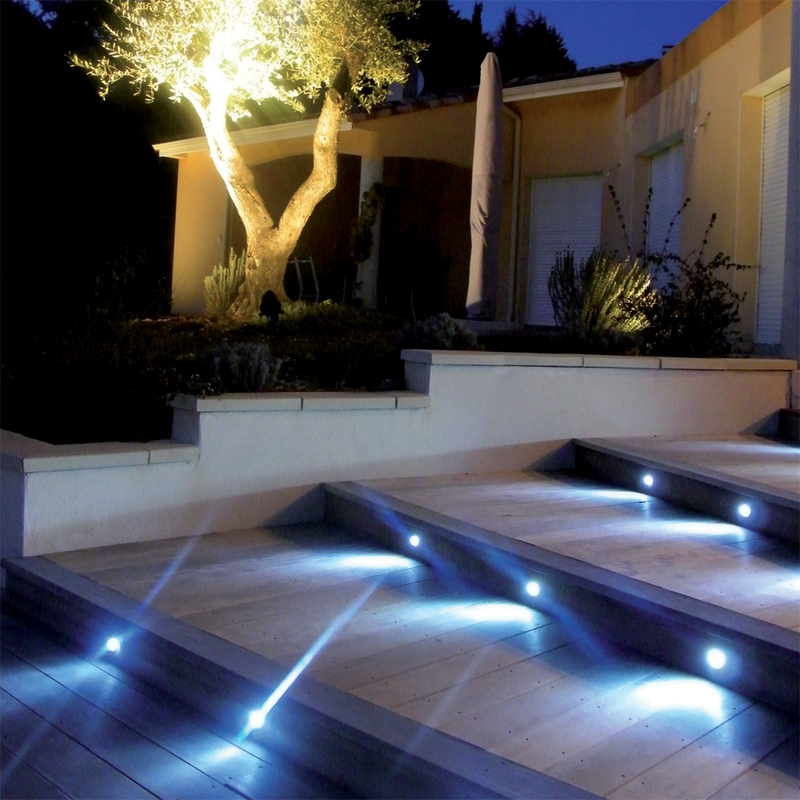 And also lights can be tried on in the railings which add elegance and ensures safety as well. 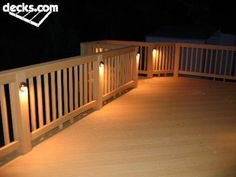 Cap lights and rope lights or those hanging inverted from the roof if it’s a covered deck also provide lights at fine angles. 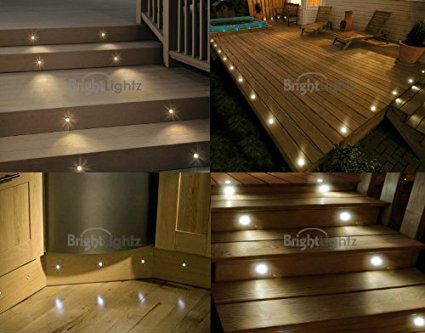 And use of star riser lights on the stairs can help enhance their visibility at night and hence chance of missing steps and losing out your balance is reduced. 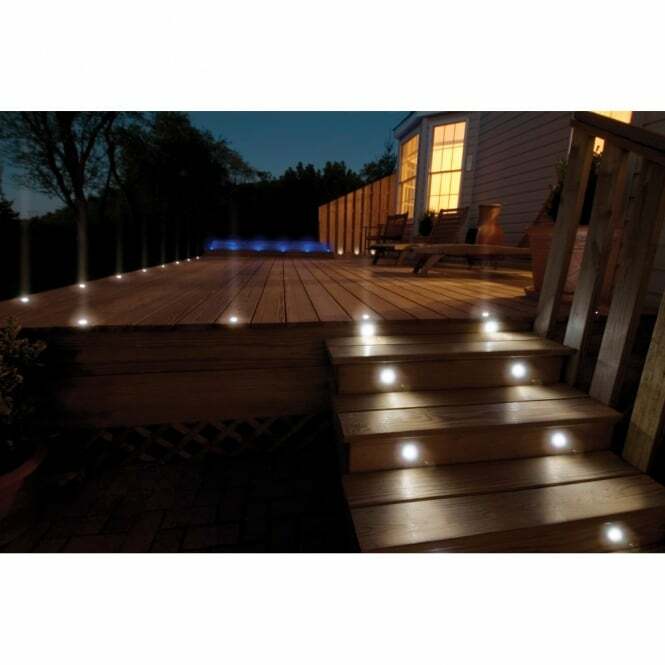 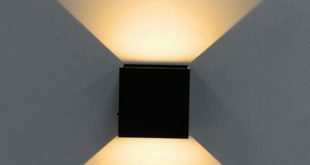 The type of light selection is easier now days as you have various option like LED solar deck lights and LED lights with colors like blue, white and red or any other shade of your choice adds glow to your deck and makes the appearance more beautiful for the guests although solar ones are bit high range ones, but are very durable and reliable. 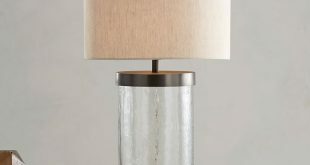 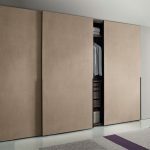 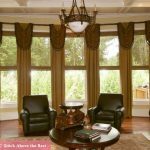 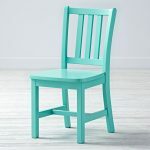 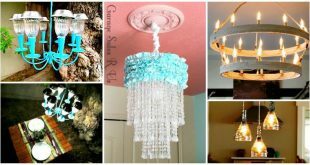 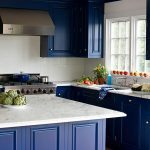 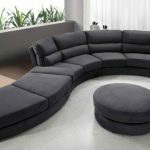 Other options are small fluorescent lights and neon shade lights which are more trendy and catchy. 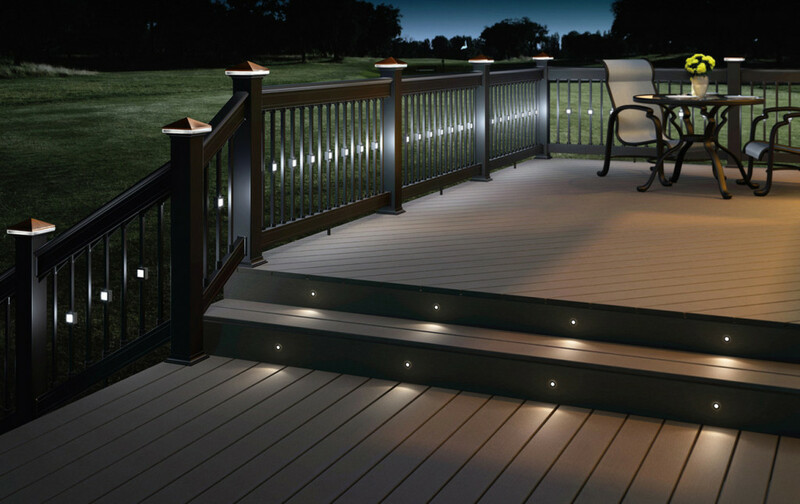 Lights are in a way the finishing touch to make your deck look perfect.